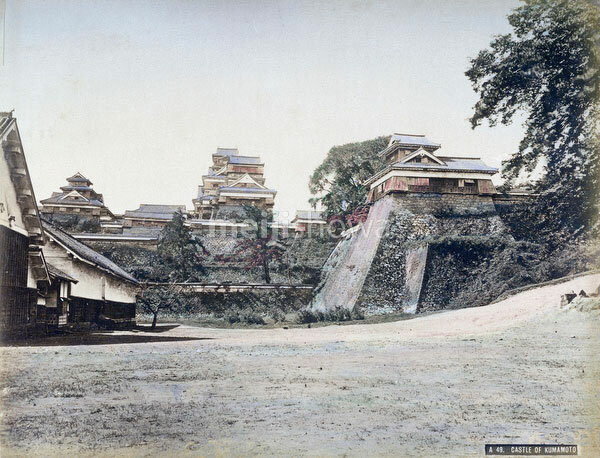 Kumamoto Castle in Kumamoto, formerly called Higo Province, ca 1872 (Meiji 5). The castle’s origins date back to 1467. The current tenshukaku (castle keep) is a concrete replica built in 1960 (Showa 35).